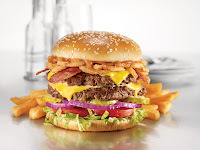 Denny's has created a "Build Tour Own" Menu for burgers and shakes with options for almost any picky eater. These burgers start at just $6.99 at my local Denny's and only $3.79 for the shakes! Toppings - Too many to list but 15 regular and 9 premium yummy toppings!! I can't imagine trying to cook that at home! Macho Nacho Burger, Moons Over My Hammyburger, Cheesy Chili Cheeseburger with Cheese, Fresco Italiano Burger-O, or the Cali Jack Turkey Burger. 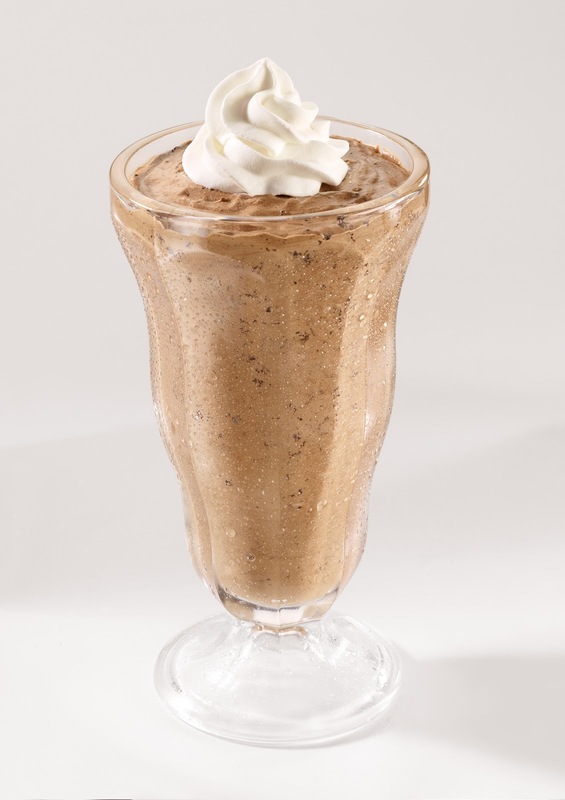 Oreo® Mud Pie Milk Shake (my fave) , Crazy Caramel Crunch Milk Shake, Maple Bacon Milk Shake or the PB & Nana Milk Shake. 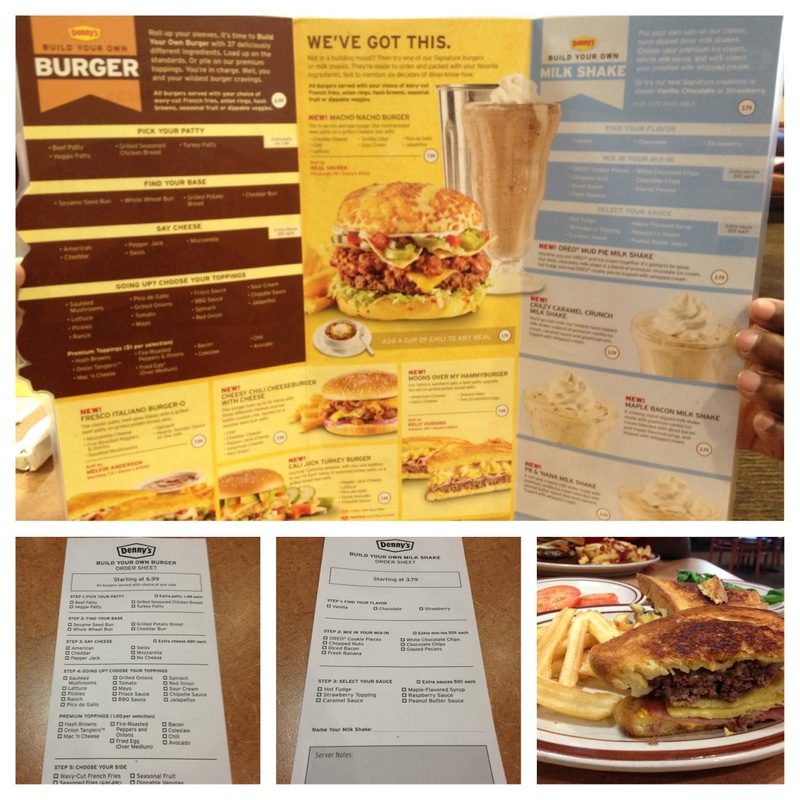 “With our new burger and milk shake menus, we wanted to celebrate these long-standing diner favorites while still offering our guests the individuality they enjoy and have come to expect from eating at America’s Diner.” - John Dillon, vice president of marketing and product development for Denny’s. My opinion: Me and my family went to Denny's to make our own burgers. I have to admit the choices were a little intimidating and took a little longer for us to decide our meal choices than usual. I ordered the "Moons Over My Hammyburger" with tomatoes and spinach. To make sure the burger was stacked as I wanted it, the extra toppings were brought out to me on a side plate, which I really didn't mind. The burgers come with a side of fries, or you can substitute them for something else. My husband finished his plate while me and the little one had leftovers. I really enjoyed spending time with my family at Denny's. Everyone was happy, and full! The food was prepared well and the price was great! *Tip: There's some nifty checklists on you table (in the photo below) with all of the Build Your Own items on there. Check off the items you want and make it easier for you (and your server) to get that perfect burger and/or shake! 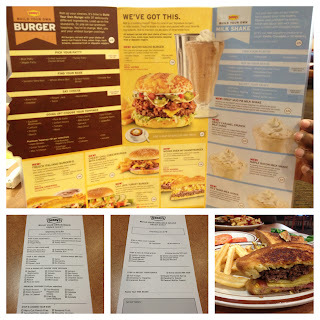 Denny's is open 24 hours a day and the “Build Your Own Burger” and “Build Your Own Milk Shake” menus are available all day, every day for a limited time only!